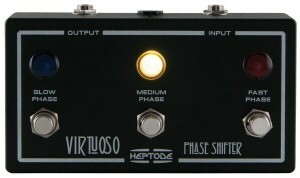 Jean-Luc over at Heptode obviously put together a special pedal when he created the Virtuoso. Our first bit of evidence: the comments we’ve received from everyone that echos the same sentiment – “I’d love to have that pedal on my board!” Our second piece of evidence is the pedal/review submissions that we’ve received. We are buried in a slew of submissions from members right now. This is super exciting and everyone that has participated has given our database a gigantic boost in inventory, meaning now more than ever, you’ll have even more pedals to link to when your chatting up folks in the forums or looking for reviews and great deals on a potential future purchase. Because the response has been so overwhelming we are extending the contest and will now select a winner on January 9th. This will give us time to process the sleigh-full of submissions we’ve received. At the same time, we will temporarily stop accepting pedal submissions, but pedal reviews will still count towards this giveaway. So look down at your board and do some reviews if you haven’t yet, because there is still time to enter to win this amazing pedal! Thanks to all of you that have pitched in. 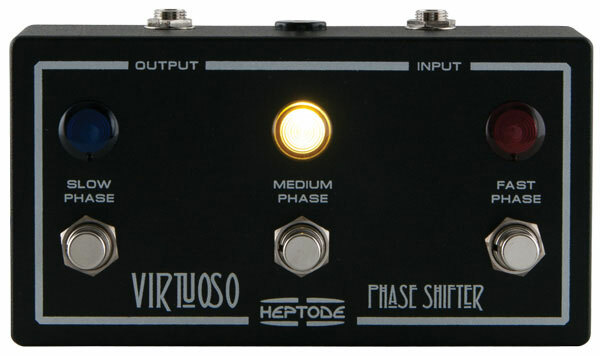 In the meantime, here’s a video to help you understand the Virtuoso and what it can do for your tone. Does this mean I have to find more pedals to try out? More hours in the music store? More time playing guitar?